Josh Sundquist will keynote Career Week Chapel at Grace College Thursday, Feb. 21. WINONA LAKE — Josh Sundquist will keynote Career Week Chapel at Grace College at 10:30 a.m. Thursday, Feb. 21, in the Manahan Orthopaedic Capital Center, 610 Wooster Road, Winona Lake. Sundquist is an international motivational speaker, blending humor with life experiences to inspire audiences everywhere. He has authored two memoirs: national bestseller “Just Don’t Fall” and “We Should Hang Out Sometime,” currently being developed into a movie. His first novel “Love and First Sight” was published in 2017. Sundquist’s material is his life. As both an author and a comedian — he performs a one-man show weekly in Los Angeles — Sundquist communicates the lessons and humor of his unique life story. He was diagnosed with bone cancer at age nine. He underwent chemotherapy and the amputation of his left leg before being declared cancer-free at age 13. Three years later, he began ski racing and in 2006, Sundquist competed as a member of the U.S. Paralympic Ski Team. He continues to excel in athletics, now playing on the U.S. Amputee Soccer Team. 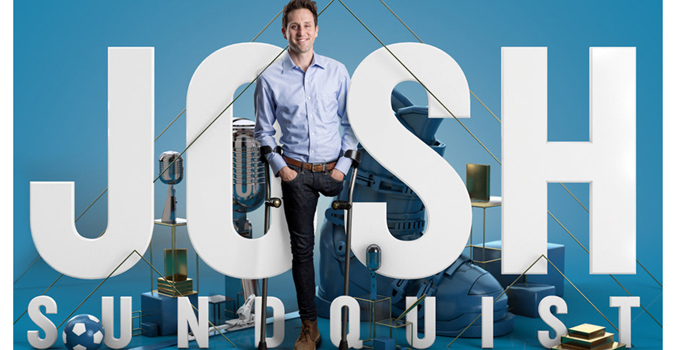 Career Week Chapel with Josh Sundquist on Feb. 21 is free and open to the public. Members of the press are also welcomed to attend. The event is made possible in part by Lippert Components. A small luncheon will follow chapel. Students and community members are invited to compete for VIP luncheon tickets on the Grace College Facebook page.